Training is made available free of charge to all fully financial members of the Union through a number of RTO'S. These RTO'S are CEPUTEC, FIT and PICAC. Immediate family members (wives, husbands, de-facto partners and children) of members may be eligible for discounted training programs. Training is also available to non-members who wish to be up-skilled at the center of excellence at standard industry rates. Providing flexible learning and assessment opportunities to the plumbing industry. 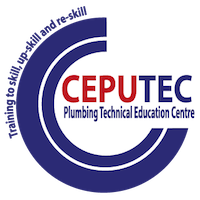 CEPUTEC is a Registered Training Organisation (RTO 4612) and commenced operation in June 1997 with an aim of to provide flexible learning and assessment opportunities to members of the Union, and others working in the plumbing industry. Since commencement CEPUTEC has grown considerably and can now offer a wide range of courses, including: Short Courses, Long Courses, New Technologies Training, Plumbing Trades & Generalist courses. As of the 1st March 2009, all fully financial members of the PPTEU are entitled to free training through CEPUTEC Away from Trade / Not in Trade Financial Union members are entitled to the same training options as ‘In Trade’ Union Members. Your immediate family members are eligible for subsidised training through Your Union. Immediate family members include wives, husbands, and de facto partners & children. These family members will pay a flat fee of $50.00 (admin fee) for all approved training. 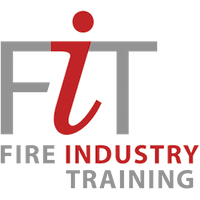 Fire Industry Training is an industry owned organisation that is committed to fire protection and dedicated to quality training. Established in 2008 FiT quickly established itself as the pre-eminent provider of fire protection training in Australia. FiT delivers a range of industry specific training at our centres of excellence in Victoria and Queensland, where we consistently strive to improve and to fulfil our objective of delivering quality, industry focused training which benefits all stakeholders. Our success sees us as the preferred provider of apprentice training for all states except NSW. 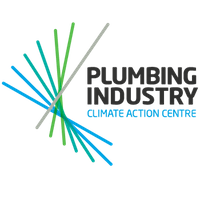 The Plumbing Industry Climate Action Centre (PICAC) is a unique industry led training facility in Brunswick, Melbourne. The centre is a 5 Star Green Star rated building and is a working example of innovative design and sustainable plumbing. Through providing access to a training resource without peer, our industry is taking up the challenges of new technology, new risks and new approaches. PICAC’s facilities are pre-eminent amongst training providers and include the Fire Protection Centre of Excellence, the Occupational Health and Safety Centre of Excellence, a demonstration Green Plumbing House, world class reticulated water systems, the newest technology in water and energy efficiency. By showcasing the world’s very best, leading edge technology we are training the plumbers of tomorrow, today. PICAC is an industry partnership supported by the Plumbing Trades Employees Union, Master Plumbers and Mechanical Services Association of Australia, National Fire Industry Association and the Air Conditioning and Mechanical Contractors Association.